So, you are a Citi customer who likes to collect enough points for a shopping spree? We have good news for you. You can now directly pay with your Citi reward points for a wide range of spends on flight tickets, accommodation, dining, shopping, movies, car rentals, hospitals, utility payments and more. 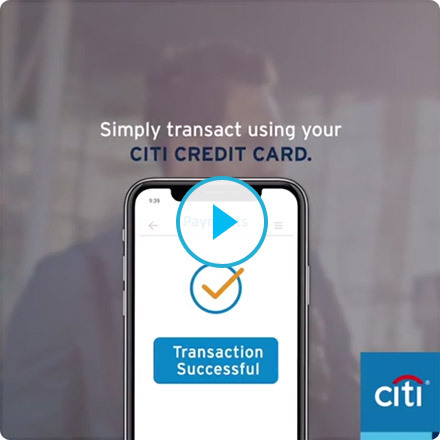 In yet another industry first initiative, Citi has introduced ‘Universal Pay with Points’ – an avenue that widens the options available to you as a customer, to redeem your reward points. What’s more, these are points that never expire, so you are free to use them as per your convenience, without any rush. You can make your purchases and instantly receive an SMS with a link for redemption. You can choose to either fully use your points against the purchases or partially offset the balance as part of the payment. The points used then reflect as cashback in your next statement. And you’re done in 1 click! It’s that simple.